1. Improved transparency and delivering a clear framework can help companies understand supplier`s culture and how a company shall market their goods/services. 2. Buying companies` mission, vision and values describes in RFP or eAuction benefits suppliers to understand company goals which helps to determine whether to do business with the buying organization. 3. 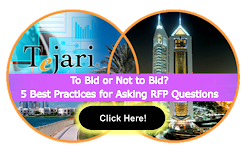 Communicating contract and product specifications, terms and delivery requirements take time for buyer to create a formal RFP and eAuction process which enables suppliers to prepare better for negotiation and contracting procedure. 4. Product management, marketing and sales must pool up to dispense one face to the customer. eSourcing events force discipline in vendor`s sales process. 5. Esourcing can help suppliers to get in front of customer in reduced time rather then waiting for months or weeks to receive response from a marketing campaign. It improves the capital efficiency of sales and marketing teams by reducing the time required to recuperate the cost of gaining a customer. 6. eSourcing can help companies with limited resources for sales and marketing, to display the value of their goods/services by providing a leveled field in form of one platform or framework. 7. eSourcing develops better competitive intelligence by providing means to understand the competition better, whether the supplier wins or not. 8. eSourcing allows supplier to leverage new technology for working with a potential buyer in future. For example, the eSourcing platform may expand further from RFP or eAuction into modules like contract management, supplier performance, vendor management, project management etc. Acquainting with such tools may help supplier in future events of other customers using same tools or platforms. Communicating these advantages is still a powerful tactic. There are still such suppliers who resist such tools but many suppliers are willing to participate in eSourcing events. Yet their number is increasing to the surprise of many buying organizations. During economic recession suppliers struggled to retain sales level. They were not in a position to refuse business therefore, they participated in eSourcing tools. However, today the economy improvements have again increased the sales of suppliers and now they can afford to be selective with the business which may make resistant supplier withstand eSourcing.